During a typical holiday, I usually take a holiday from the bike, too, and get in the car to go home to spend time with family and friends in the suburbs. Today, however, I’m thankful to have bike commuted to the Thanksgiving feast hosted by my mom. This morning after checking the Metra schedules (our regional train system out to the Chicago suburbs), it felt great to be giving my car the holiday on this Turkey Day. 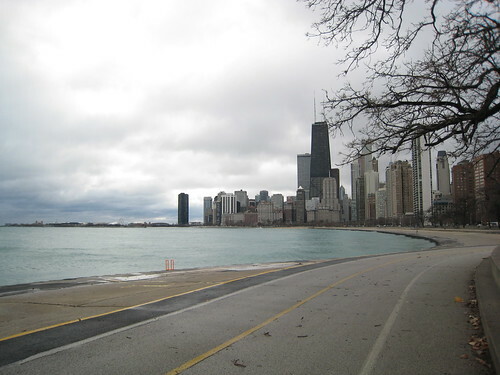 At a balmy 40 degrees, my ride to the train station took me down a sparsely populated lakefront path, where I passed by runners leaving the annual Turkey Trot running event in Lincoln Park and saw other runners who decided to run solo along the lake. My bike and I just made it in time to board the train. 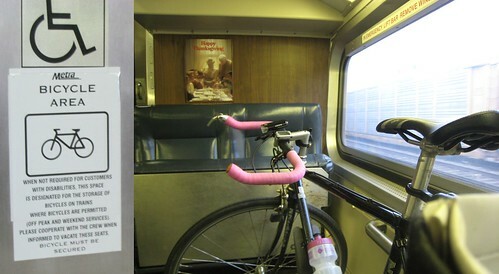 Luckily, the conductor allowed us both to board; he even had to nudge a few folks out of the seats in the designated bike space. 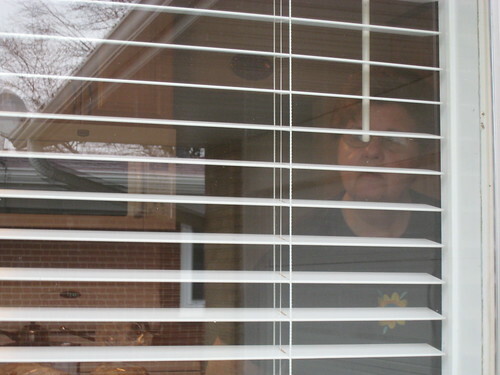 (They wouldn’t leave when I asked them… but I’m thankful they moved without too much protest). Most folks stared at me like I was an alien boarding with my space cruiser. After the initial shock, I like to think they were impressed with my commuting choice. She was much relieved to hear that Metra helped with my commute. Let the feasting begin! Thanks MOM! Good job! I didn’t leave town for Thanksgiving but managed to get in a 14 mile ride today. 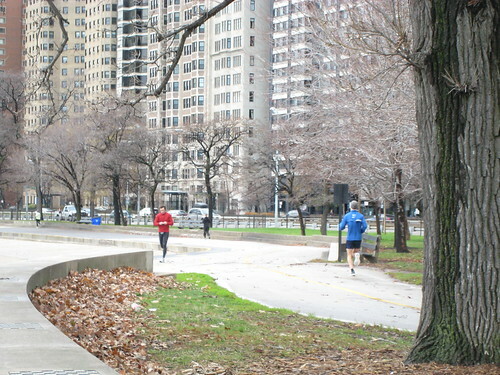 In your first picture it looks like you rode south on the lakefront path. I rode north, and the wind that way was pretty cruel. Shame that it took the conductor to move those people…I mean, that IS a designated bike space! Cool times — I didn’t get to ride yesterday since I do all the cooking, but I’ll make up for it today. So, no pics of the turkeys on the table? Nice job on the commute, by the way. I could add a photo of the turkey… unfortunately the 3 mini turkeys were in the oven cooking while I posted. 🙂 So good! Tell your Mom she set a beautiful holiday table. 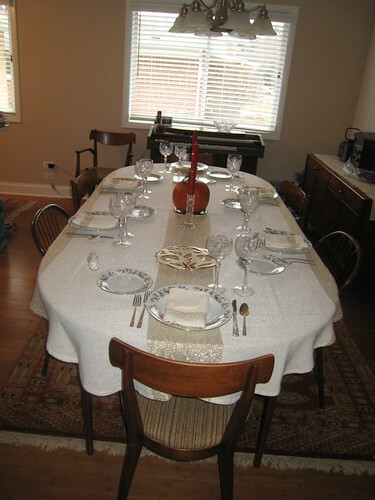 @Dottie, the photos of your feast looked great. Glad you made it out for a bit of a “trot” yourself. @rapps, I will pass along the praise. We kind of celebrated Christmas early, too, since one of my aunts won’t be in town for the X-Mas day. So the table was set in all the holiday best. Thanks for the article and pictures. I commute from Edgewater to the loop year-around and enjoy it a great deal. I’m the fat old guy riding a black recumbent.